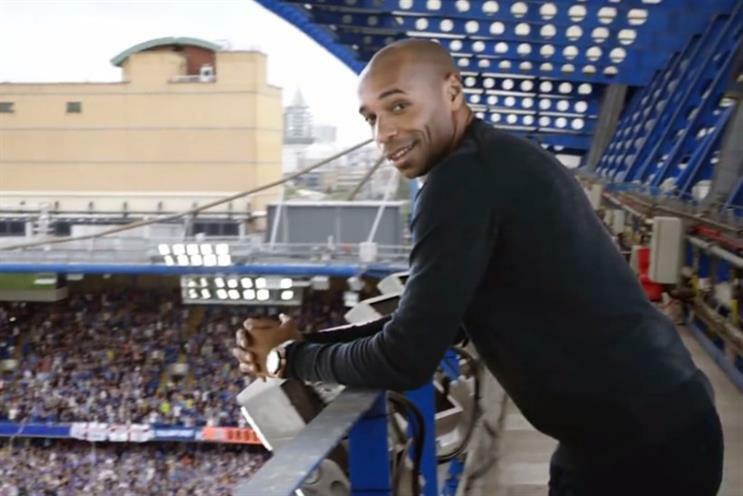 Sky Sports' latest ad celebrates the start of the new season and features Thierry Henry in 13 key moments in the history of the Premier League. Clever camera tricks allow Henry to amble through moments ranging from Eric Cantona’s 1996 goal against Sunderland to Aguero’s 2012 title winner for Manchester City. "That is why my friends, this is the best league in the world"
The ad took more than five months to create, with Sky replicating the original cameras and lenses used to film the original match footage. Thierry’s stroll down memory lane spans more than 23 years of Sky Sports coverage. To celebrate the start of the new Premier League season on Sky Sports the new advert, which uses ground-breaking special effects, will take two-time Premier League winner Thierry back to a series of iconic moments. Henry, also a talking head for Sky Sports, said: "Both as a player and now working for Sky Sports, I know what makes the Premier League the best league in the world and this advert helps explain why. "Every detail was accounted for, the advertising boards, the old kits, the old ball from Cantona's goal against Sunderland."